I've had a slow day. It feels like it's Sunday just cause of it being Labor Day on a Friday. Its been poring rain all day so what better thing to do than chilling in bed watching anime and making homemade sushi for dinner. 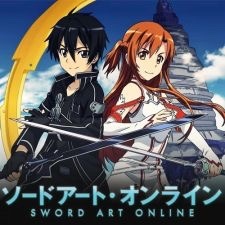 I've been watching Sword Art Online, which is a serie about people being stuck in an MMORPG (online game like WoW) and the only way to get out is to beat level 100. If you die in game you die in real life. I really enjoy it!